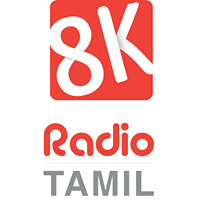 8k Tamil Radio Live Streaming Online . Listen 200 Tamil radio stations Online . 8K Radio is a 24 by 7 Tamil radio station in the US,brought to you by the 8K Miles Media Group. 8K Radio is the attempt to bridge the 8000 miles between Tamilnadu and the US . Address: # 7, 3rd Floor, Ganapathy Colony, 3rd Street, Teynampet, Chennai - 600018 .